Perforating Veins, Collateral Veins, Reticular Veins, Spider Veins, Petechia, Rosacea, Saphena Magna and Hemorrhoids. The EVRF is all-in-one device for the treatment of all sorts of varicose veins. According to the vein, you can choose between a transcutaneous or endovenous approach for the treatment by connecting needle holder and a selection of needles for the transcutaneous part and a range of catheters for the endovenous thermal ablation of the vein. Recently F care systems has developed a probe for the treatment of hemorrhoids in various stages which can be used on the same generator. No pain during and after treatment. No pigmentation or allergic skin reaction. No dermatological reaction due to a chemical compound. No chemical agent in the body. No damage to the surrounding tissues. immediate return to his daily activities. The ablation of varicose veins is based on thermocoagulation. The principle of thermocoagulation is heating the vein, which makes it coagulate. This rise in temperature is achieved by sending a high frequency pulse into the tip of the needle or catheter. The rise in temperature causes the proteins in the vein wall to solidify and make the vein disappear. Due to the isolation of the needles and catheters, the effect is very local, causing minimal damage to the surrounding tissue. The RadioFrequency energy is closely monitored with central unit. The energy is either pulsed in the transcutaneous mode or continuous in the endovenous and hemorrhoid mode. The setting are easily adjusted by the touchscreen An increase or decrease of the energy and pulses by a simple touch of the screen bars allows practitioners to work in detail without the unnecessary destruction of surrounding tissue and resulting in an effective thermocoagulation and closing of the vein. Thermic reaction on the vein during GSV procedure. K3i needle with diameter 0.075mm (mostly used for facial treatment). K6i needle with diameter 0.150mm (mostly used for treatment of legs). With the extremely sharp needle tip, the treatment is almost painless and causes only very light stains that completely disappear within a few days. You can watch how easy this treatment is. 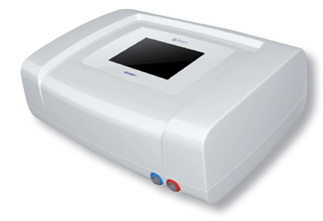 Collateral and perforating veins can be treated with F Care Systems’ CR30KAB. The catheter is extremely flexible, so that it follow the direction of the vein easily. Smooth insertion is ensured with the advanced coating material around the catheter. 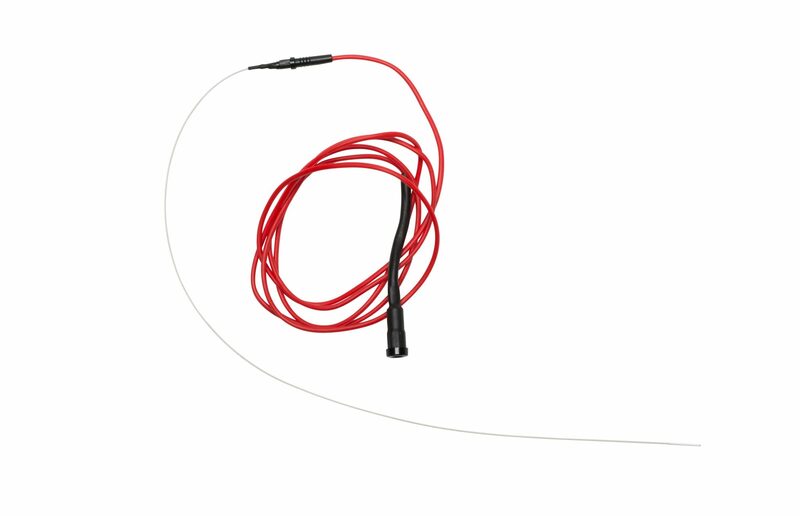 The non-insulated tip transmits the high frequency signal to the vein wall. This causes the vein to coagulate and eventually disappear. To see this catheter in action, you can watch the treatment video by clicking on our link below. For the treatment of the Great Saphenous Vein, the CR45i catheter is used. 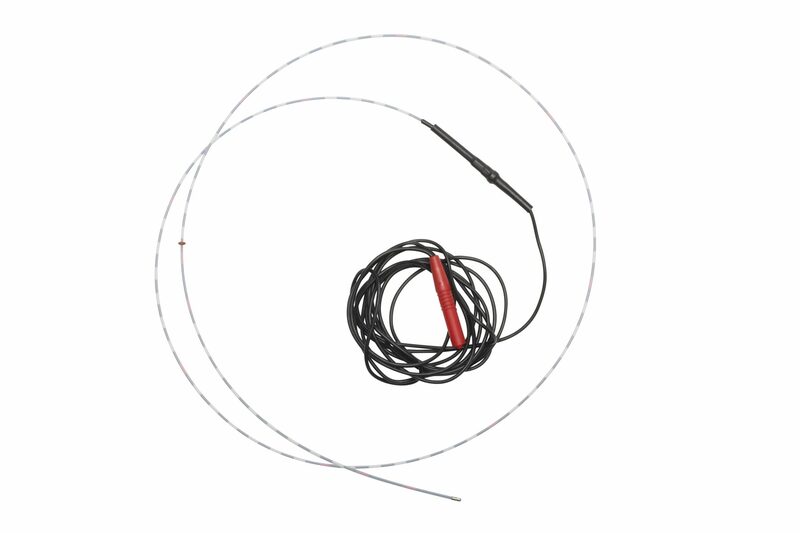 This extremely flexible 6 French catheter with a 5mm non-isolated tip allows a smooth insertion. The catheter will be pulled back gradually until the entire vein is closed. GSV and SSV ablation with EVRF is minimally invasive side effects such as pigmentation, superficial thrombophlebitis or deep vein thrombosis (DVT) are very rare. Patients experience minimal discomfort and normal daily activities can be resumed within one day. A treatment video of the CR45i can be watched below.